The most accurate Middleborough town map available online. Middleborough is the second largest town by land area in Massachusetts. We have fully staffed Fire and Police Departments, and municipally owned Water, Sewer and Electric & Gas Departments. The population of the town is approximately 22,207. The area that the town covers is 68.1 square miles. Middleborough also has its own accredited school system Teaching K-12. Middleborough was settled in 1660, and incorporated in 1669. Middleborough's principal industries are lumber, calendars, brass goods, novelty items, warehousing and diversified products. It is the cranberry capital of the world and a major center of antiques. 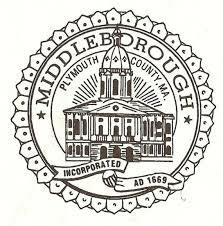 Middleborough is located 38 miles from Boston, 22 miles from New Bedford, and 30 miles from Providence, Rhode Island. Middleborough is on Route 44 to Plymouth and Routes 28 and 495 to Cape Cod. It is also on Route 79 to Fall River and Routes 18 and 105 to New Bedford. Middleborough is also on Route 44 to Taunton and Providence, Rhode Island. Middleborough is also now served by the MBTA's Old Colony Commuter Rail Service.